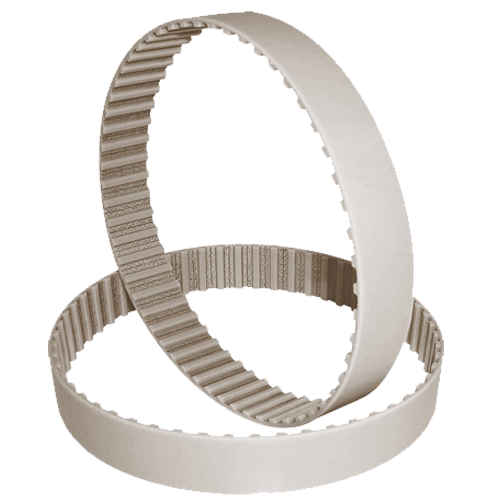 MEGAPOWER timing belts are manufactured by a unique thermoset molding process. MEGAPOWER PU belts perform especially well on light synchronised and stepped drives, in office automation and domestic appliance applications. MEGAPOWER offers good running characteristics and they are especially suited for power transmission. 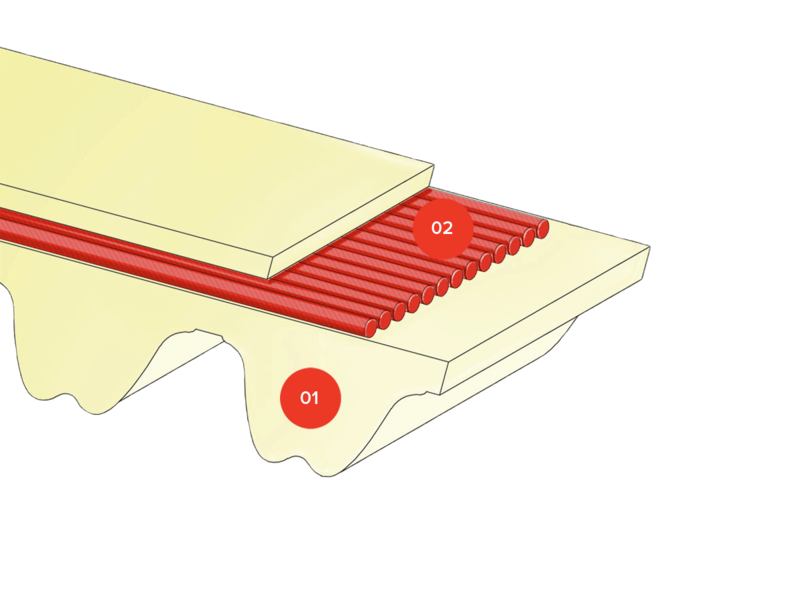 An extra thickness of special coating is also possible on the back of the belt offering extra protection against aggressive or heavy products. Helicoidal zinked steel cords are standard. Available with Kevlar, Fiberglass, Stainless steel, HP, HF, HPF cords. Are you interested in MEGAPOWER?